Romans chapter 8 | The Old Adam Lives! We have been freed from’ the torah’. From the old way of living by the law. Freed that we might have the courage to do what we can do. And thanks to flickr and Paul Forsdick, for the photo. 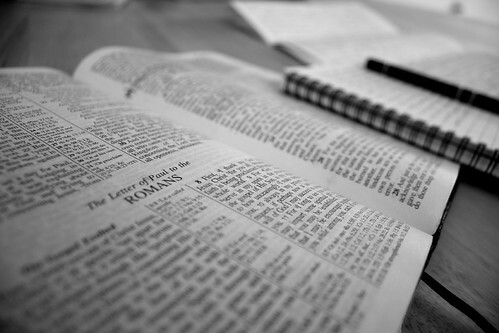 This is a terrific Bible study in Romans that Pastor Mark gave a while back. It’s one of my favorites, and I never tire of listening to it. ‘Let’s start with death…and then go on from there’. And thanks to flickr and kfergos, for the photo.